I came across this wonderful quotation on a blogsite called Wibble! It was a comment to a post with the compelling title of It is vitally important not to make connections and explains that the quote was made by Dr. Seuss in the film The Lorax. For me that quotation sums up how I would like to reply to not only my dear friend, Dan Gomez, who is a denialist of anthropogenic climate change, as last Monday’s Post illustrated, but also to skeptics everywhere else. I should also add the important qualifier that I am neither a scientist nor have any expert skills in the relevant areas. But, then again, neither does Dan. He and I are both citizens of Planet Earth with a passion for the truth. So where to go from here? There is no question that the Earth’s climate is complex and endeavouring to understand ’cause and effect’ relies heavily on mathematical models. But many complex aspects of our world are treated similarly, therefore so what! Dan and I share with millions of others a lack of scientific competence, ergo we have to be rely on the scientific views expressed by those who do have the scientific competencies. Paris–The signs of global climate change are clear: melting glaciers, earlier blooms and rising temperatures. In fact, 11 of the past 12 years rank among the hottest ever recorded. For example, after objections by Saudi Arabia and China, the report dropped a sentence stating that the impact of human activity on the earth’s heat budget exceeds that of the sun by fivefold. “The difference is really a factor of 10,” says lead author Piers Forster of the University of Leeds in England: compared with its historical output, the sun currently contributes an extra 0.12 watt of energy for each square meter of the earth’s surface, whereas man-made sources trap an additional 1.6 watts per square meter. The Wall Street Journal has received a dressing down from a large group of leading scientists for promoting retrograde and out-of-date views on climate change. In an opinion piece run by the Journal on Wednesday, nearly 40 scientists, including acknowledged climate change experts, took on the paper for publishing an article disputing the evidence on global warming. The offending article, No Need to Panic About Global Warming, which appeared last week, argued that climate change was a cunning ploy deployed by governments to raise taxes and by non-profit organisations to solicit donations to save the planet. It was signed by 16 scientists who don’t subscribe to the conventional wisdom that climate change is happening and is largely man-made – but as Wednesday’s letter points out, many of those who signed don’t actually work in climate science. There’s much, much more evidence that shows that the science is clear – mankind is risking the future viability of this planet for the species homo sapiens and countless other species! There are a number of independent websites across the world where one can quickly research the credentials and background by name of any person. Try Skeptical Science as an example. A quick enquiry using Senator Inhofe’s name came up with this: Quotes by James Inhofe – Climate Myth/What the Science Says. Read It! And read this on the website Think Progress. There are other websites where one can do that type of research. In an email just a day ago, Dan wrote, “My message/warning remains the same: “Follow the Money”. When the “End-of-the-World” is the message, what politician can resist?” If only it was that easy. OK, I’m going to start rounding this all off by first asking you to watch this 4-minute video that I came across thanks to Pedantry’s blogsite Wibble. A link between climate change and Joplin tornadoes? Never! 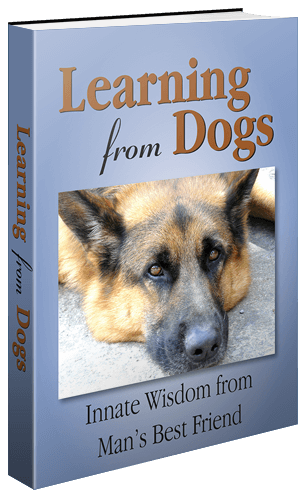 Next I’m going to repeat something that I have previously mentioned on Learning from Dogs. There’s a saying in the aviation industry, “If there’s any doubt, there’s no doubt!” That saying underpins the culture that has turned commercial air transport into one of the safest means of travel in history. Let’s ponder that idea of doubt. There is no question that there is a great deal of doubt. Back in 2010 Gallup Poll reported that “42% of adults worldwide who see global warming as a threat to themselves and their families in 2010 hasn’t budged in the last few years“. Would you get into a commercial airliner to fly from ‘a’ to ‘b’ if 42% of the passengers saw the flight as a threat to themselves? No, of course not! The newest study from the National Survey of American Public Opinion on Climate Change, which is a biannual survey taken since fall 2008 and organized by the Brookings Institute, shows that 62 percent of Americans now believe that man-made climate change is occurring, and 26 percent do not. The others are unsure. So back to the theme that started this Post. For the sake of all of us on this planet, for all our children and grandchildren and beyond, we need to start caring deeply about the future, changing our life-styles in as many ways as we can and demanding that our politicians and leaders are similarly committed to the future. Not because the future is anything like certain – but to reduce the risks of a global catastrophy. I have a grandson who will be one-year-old on March 21st. I want to be certain that he has a viable life ahead of him for many, many years. That means caring ‘a whole awful lot‘, letting hope motivate me to change, and recognising that change is already taking place, as the following trailer so superbly demonstrates.